There are many things to consider when you are planning experiential marketing activity, and understanding your target audience and where they spend their time is so important. We’re seeing a growing trend in experiential marketing activity that widens out the potential locations for brands to consider when they are planning their sponsorship, activations, and events. Ford made history recently by launching a new car at a gaming show. They made their decision based on data about who attends gaming shows and how that fits with their brand. Long-term they will be able to assess what impact that had on the brand awareness and sales of the car. Short-term they can look at media coverage and social media reactions. If they had some sort of evaluation tool such as our sensors in place, they would also know the footfall count around their exhibit, the percentage of visitors that stopped to have a closer look, and the average dwell time of those who stopped, and more. Thus providing them a with a more comprehensive event analytics experience. 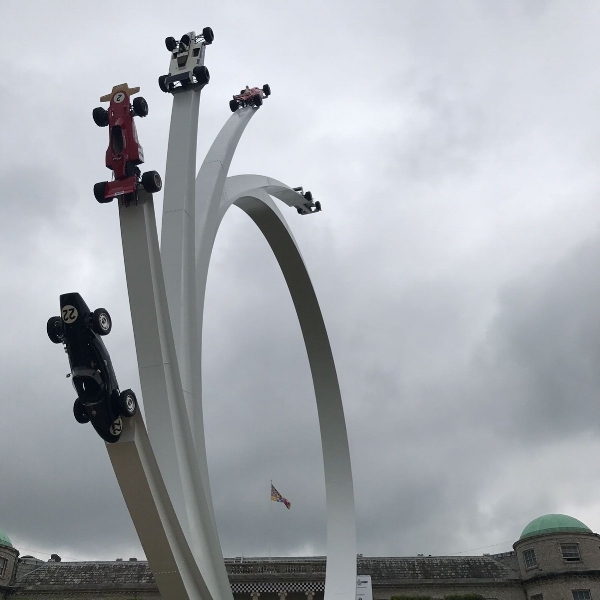 As we’ve written about before the Goodwood Festival of Speed has seen an increasingly diverse range of brands in attendance - and rightly so. It is no longer enough to expect your audience to come and find you, you need to find them and engage them. But with the increasing choice of events and the growing spend on experiential marketing you need to be sure the money is being spent on the right things in the right place. We work hard with our clients, using our event analytics solutions, to help them to compare the results of activity in multiple cities, different shopping centres, at events such as Car Fest North and Car Fest South, or each round of the British Superbikes Championship for example. There’s no need to guess the impact of experiential marketing activity, we can help you to measure and get the results you want. Get in touch to find out how. Where is the best place for your experiential activity? Budgets for experiential marketing are growing year on year with a diverse range of companies now working to build long-term relationships with customers and potential customers through experiences. But which events and festivals are right for your brand? How do you know if your spend is generating results. This reflects our experience of the event too, where we’ve helped brands to evaluate their attendance. We’ve noticed new companies there including Hilton and Boeing, and this makes sense. People don’t go to Goodwood to buy a car, they go to be inspired, to enjoy the racing, and have fun. Brands that can seamlessly fit into this should achieve the best results. On a similar theme, the Detroit Motor Show have announced they are moving the event from January to June so that they can include “dynamic outdoor experiential brand activations”. Now that brands from Crayola and NARS to Amazon and SpecSavers are serious about experiential marketing there’s a growing need to evaluate the impact and objectively assess which events are right for your brand. We have worked with a wide range of companies from motor manufacturers and tech businesses to beauty brands and healthcare companies. After over 1200 events we’ve learned a lot about what works and what doesn’t. We can move you on from guess work or counter clickers to capture data showing exactly how many people saw your activation, and how many people simply walked past. Of those that stopped, we can tell you how long they spent engaged with your activity. Add in our Aperture system and we can also tell you more about their demographic and sentiment towards your experience. You expect detailed digital analytics for your online campaigns, off-line shouldn’t be any different. We’ll give you objective, independent data so you can stop guessing and start measuring the impact of your experiential marketing. Exposure Analytics is celebrating a milestone, having completed 1000 events for our clients. In just four years we’ve helped hundreds of companies to measure the impact of their events, activations and exhibitions. From festivals attracting over 100,000 visitors to product launches, shopping centre activations, and major exhibitions, we provide the data organisers need to determine if their event or activity was a success. Our first event was International Confex in 2014. The first time you do anything as a new business it’s stressful. Our debut was no different, but we’ve learned a huge amount since then. Now whether we’re supporting clients in San Francisco, Scotland, or Abu Dhabi we know exactly what we need to do, from getting the number of sensors right, to checking the configuration, and analysing the data during and after the event, we’ve got it covered. Imagination are just one of the agencies we’ve worked with, helping them to evaluate their clients experiential activity. We look forward to providing more brands and agencies with digital analytics at our next 1000 events. We’ve currently got enquiries in from Canada and India so will be expanding the global reach of Exposure Analytics too. Finally, a big thank you to everyone who has supported us through the first 1000 events. Here’s to many more. If you'd like to be one of them, please get in touch. Rob Murdoch was a guest on the Event Industry News podcast recently. How do you know if you've got the right stands and layout at your event or exhbition? and more. It's well worth listening to for any event professionals, marketing mangers, and conference organisers. The news that House of Fraser is to close more than half of its UK stores was a surprise to some, and obviously very unwelcome for their staff. But it is just one more example of the changing face of retail. There’s the well established trend towards online sales but we’re also seeing the rising importance of experience and experiential retail. John Lewis are changing their stores to improve customer experience. Gucci have taken it to the next level with a paid-for experience in a 14th century palazzo in Florence. The House of Vans designed by skaters for skaters is a fantastic example of a brand building a long-term relationship with its customers. Buying decisions have always been complicated but behaviour has changed so that now people are looking for one of two things - either a quick and easy online purchase, or the chance to engage with a brand, browse products, and build a relationship with them. Activations are common and increasingly important to brands. Particularly drinks brands, food companies, sports wear retailers, car manufacturers but the list is growing, as is the range of opportunities. We’ve worked with a wide range of agencies and companies to help them to evaluate their activations at events, exhibitions, festivals, shopping centres and on the streets. Interestingly Amazon, an online-only retailer recognise the value of a physical presence and customer experience; their Treasure Truck has been out and about across the UK. To be successful retailers need to change with the times. As always careful measurement and evaluation of marketing activities is vital. We love helping companies to stop guessing and start measuring. Please get in touch to find out how we can help you.